Students will celebrate the deeper meaning of becoming a Bar Mitzvah. Our goal is to prepare your child for the auspicious day of his Bar Mitzvah. More than just Bar Mitzva lessons, "Bar Mitzvah Club" will address the specific needs of this age. Meaningful discussions, exciting activities & advanced learning will give your pre-teen the tools to take their Jewish learning into young adulthood. As that day approaches he will be provided with private tutoring to enable him to feel confidant and to understand the responsibility of a Bar Mitzvah. • Once a month Bar Mitzvah Club. • Complete Hebrew School Experience- Bar Mitzva Club included. 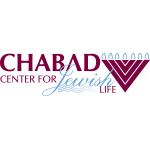 *At Chabad no Jewish Child is turned away for lack of funds, click here for our scholarship form.